My husband and I needed new shower and tub fixtures for the bathroom of our condo. Our contractor highly recommended Wallington Plumbing Supply so we drove out to their Saddle Brook showroom on a Saturday afternoon. We probably should have called ahead because although the Saturday hours shown online are 7 a.m. to 3:30 p.m., in the summer they close early at 1 p.m. so we missed them. When we went the second time, the sales person didn't seem very interested in helping us and almost sold us something we didn't want. We've gotten more pleasant and informed assistance from places like Home Depot and Lowe's. But we stuck with Wallington because our contractor is wonderful and he told us they were great. We placed an order that was estimated to take two weeks. 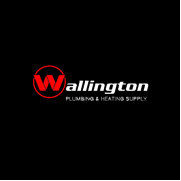 A little after the items should have arrived at Wallington Plumbing, we called them to ask if our order had come in. We were told yes, it had. So we took another Saturday morning to drive out there. No. The order was not complete. The fellow who helped us actually said, "You should have called to check before you came out here." I wanted to scream. We finally did get all of the items we needed and they are now installed. We're happy with our purchases but that says more about Delta than about Wallington Plumbing. We checked prices at places like Lowe's for the items we bought and Wallington's prices are significantly higher. Overall I feel that Wallington Plumbing was a waste of our time and money. 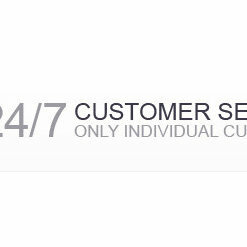 I wouldn't have minded spending a bit more IF we had received good service because expertise is valuable. I suspect that if one is a contractor/plumber that it's a good place to do business. Just not for regular folks like us.